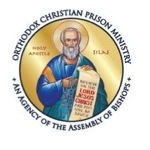 The purpose of the convocation held in Toronto June 27-29 was to bring together the many Orthodox clergy and laity from around the world who are participating in prison ministry or are interested in participating in prison ministry for a time of fellowship, education, encouragement, communal worship and the free exchange of ideas. More information about OCPM at their web site - http://www.ocpm-scoba.org/. The Very Rev. Fr. John Kowalczyk is Chaplain at SCI Waymart (Forensic Unit) in Pennsylvania for the past 24 years and the pastor of St. Michael's Orthodox Church in Jermyn, PA since 1985. He has served as Director of Field Education Studies at St. Tikhon's Orthodox Theological Seminary since 1987. Seminarians from St. Tikhon's complete an internship at the prison in their second year of Theology. healing for those incarcerated that comes from Confession. Fr. Demetrius Nicoloudakis is pastor of St. Matthew’s Greek Orthodox Church in Blandon, PA (USA) and has been involved in Prison Ministry for over 12 years. Elena Yoncheva is the Executive Director of Prison Fellowship International in Bulgaria. Fr. Viktor Iatsenko is the Department Head of the Synodal Department of Prison Service in the Ukrainian Orthodox Church. Archpriest Oleg Skomorokh, from the Russian Orthodox Church, St. Petersburg, Russia, has visited prisons since 1995. He has headed the Department of Prison Service of the St. Petersburg diocese since 2005. He is the author of the history of Christian Service in Prisons (a senior thesis in the St.Petersburg orthodox spiritual academy 1998) and the Practice of Prison Service (the dissertation of 1999). In 2009 Fr. Skomorokh was appointed as Director of a special project to develop the Department of Prison Service for the Russian Orthodox Church. from jail or prison.The primary speaker is Barbe Fogarty from St. Mary’s Roman Catholic Church in Kutztown, PA She participated in the Berks County Halfway Church, a ministry of fellowship with people returning to the community after prison. Speakers: OCPM Minnesota - Rick Wagner, Sandra Anderson, Carol Karos. Fr. Monk Cosmas (Shartz) Fr. Cosmas was born at the mid-point of the twentieth century, in 1950. He was raised Methodist and was the son of a minister. Soon after entering college he drifted away from Christianity, seduced by the allurements of secularism and decadence, and spent many years in the spiritual far country. He entered the Greek Orthodox Church in 1996, therefore, as a repentant sinner. He is a tonsured reader. In 2004 he joined the brotherhood of the Monastery of St. John. OCPM Board Chairman Kory Warr welcomes the delegates and introduces Metropolitan Paulos/Christos Kolosakas Greece for a greeting.